Richard Ker is originally from Tawau, Sabah and is currently attached to Malaysian Global Innovation and Creativity Centre (MaGIC). 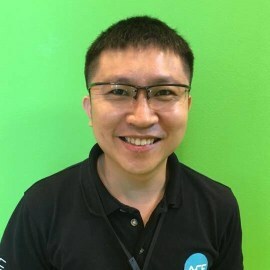 His team actively connects startup ecosystems within the ASEAN region such as ecosystem builders, startups, venture capitalists and governments. He founded North Borneo Historical Society in 2011 with the aim to record, archive and share the history of North Borneo (Sabah) through the use of digital media and social networking. The society currently has more than 45,000 followers on Facebook. He is currently working on saving the 111-year old Melalap Train Station near Tenom in Sabah. Richard also co-founded a tech startup called AirShoppr, a platform to connect shoppers and travellers around the world which was recently funded by TinkBig Venture.